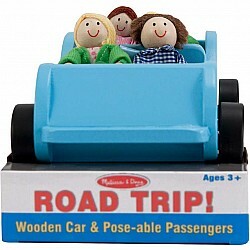 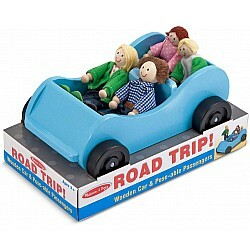 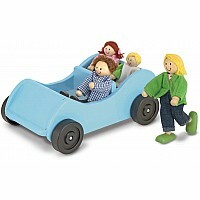 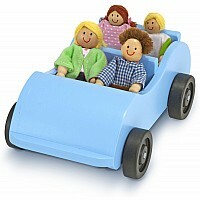 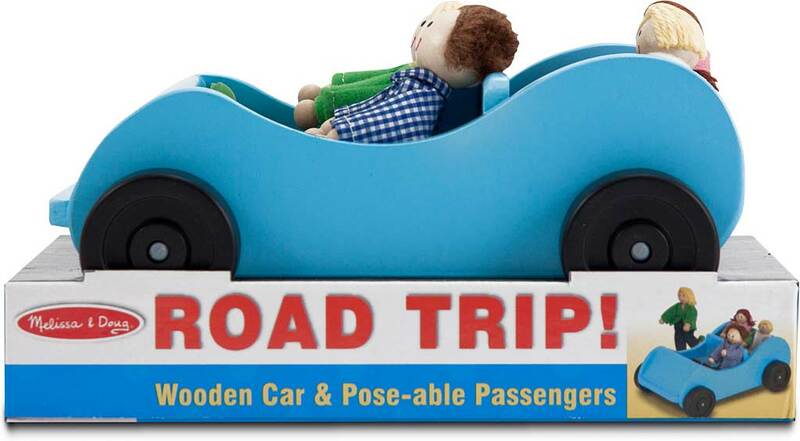 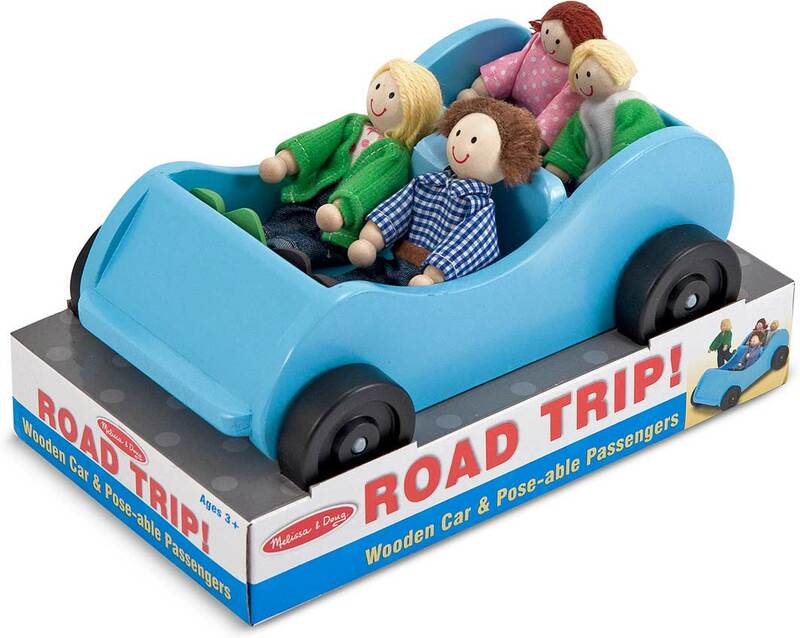 Designed to fit in the garage of Hi-Rise Dollhouse or to use as a stand-alone play set, this cool-and-classic collection includes four play people and an open-top wooden car. The pose-able people-a man, woman, boy, and girl-make up the cast for countless adventures, whether imagining vacation travels or acting out the morning's errands about town! 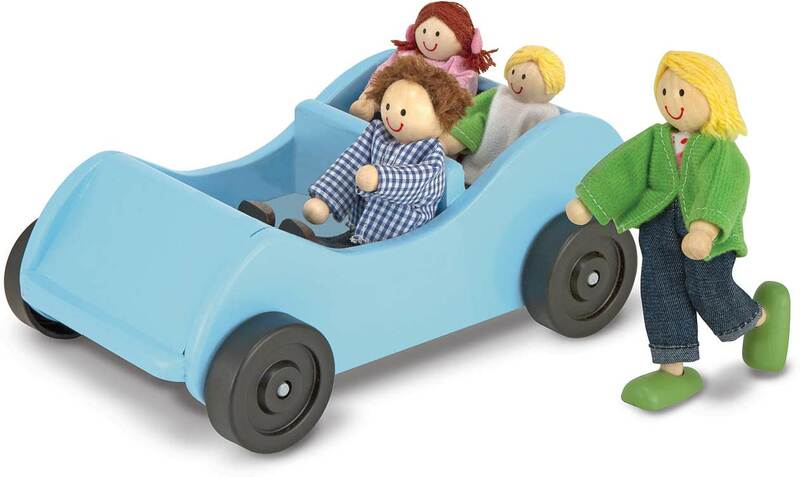 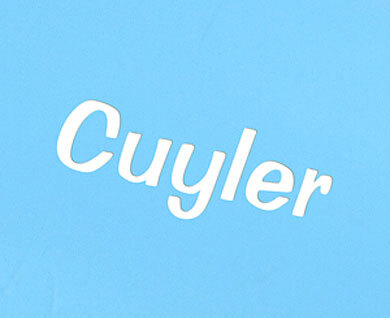 With sturdy wooden construction and tough, smooth-rolling wheels, this cheerful play set is a charming way to add imagination to playtime! 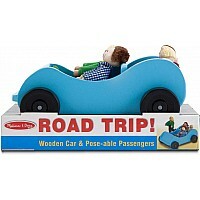 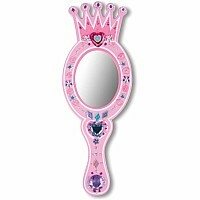 Measures approximately: 5.50 x 5.50 x 9.50 inches..